We can supply a vast array of items designed to enhance your experience. Everything that will enable you to turn an empty room, how ever large or small into an epic venue for that very special event. 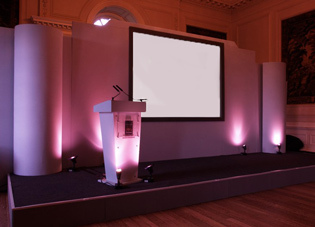 Staging, Decoration, Lighting, Sound, Themes, Screens are just a few areas that we excel in, so please call us on 01939 200666 to discuss all your event requirements. Sometimes your chosen venue, although perfect in almost every way, just needs a lift in certain directions - we can help. For example:- Voile covering of certain walls or as a backdrop to disguise or enhance a feature. 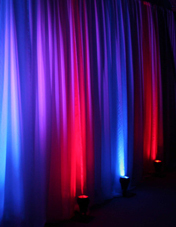 The Voile can then be lit with LED uplighters in a choice of colours, which will energise your room during the day & add to the atmosphere at the evening reception party. Nothing speaks luxury like our 'Silver Candelabra'. You have the opportunity to enhance your wedding day or party with this very special table centerpiece. All our candelabra come complete with the candles of your choice & you can choose to have them with or without a floral centerpiece. Either way, delivery to you, your venue or your florist is fully inclusive. Standing 98 cm high - each one holds 5 x 25 cm 'Taper Candles'. Why not consider our 'Candle Trees', ideal for framing your table at a civil ceremony or placed effectively at your evening celebrations. Each tree stands 150cms holds 14 x 75mm church candles & is guaranteed to create a great atmosphere. For prices & availability please contact us on 01939 200666. 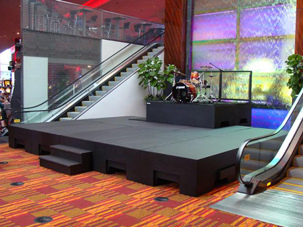 We provide simple block style stage or a professional SICO stage, which can be erected quickly & to your own size requirements. 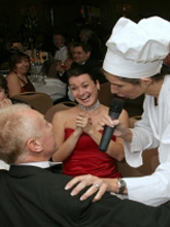 A professional touch when presenting your entertainment. It can also be used for 'Plinths' or 'Catwalks'. 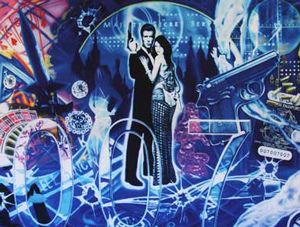 We supply themed backdrops, such as James Bond / Cowboy & Indian / Moulin Rouge / Venetian / Winter Wonderland / Hollywood Medieval / Casino / Seventies. Others are available plus for that class stage finish we can supply; Black or White Starcloth, White Voile & Pleated Black Curtains. All our backcloths are erected quickly & efficiently on professional structures. All in stock for your special occasion. We also have a large supply of audio visual equipment for hire please call us on 01939 200444.
ideal for that extra wow factor & outdoor. which can be used to highlight buildings, trees, gardens etc. project your own logo perhaps. In fact we have a huge array just waiting for you, so please call to discuss your requirements on 01939 200666. 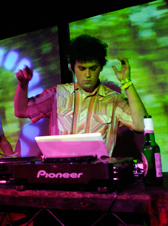 DJ - Doing It Yourself? Why not hire a BEEFY SOUND SYSTEM for use with your own media device. 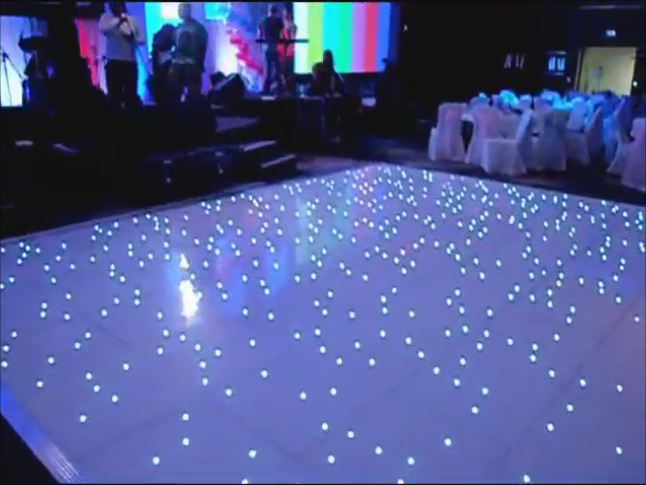 Our packages also include DISCO LIGHTING. Everything you need to make your party go with a swing.....with you or your guests as DJ!